The Flannan Isles are 20 miles west (to the left) of the Isle of Lewis in the Outer Hebrides. St Kilda is well-known as the isolated archipelago 40 miles (64 km) west of the Outer Hebrides in Scotland in the North Atlantic Ocean. Following crop failures and illness, the remaining population of 36 people on the only inhabited island, Hirta, was evacuated in 1930. St Kilda became a UNESCO World Heritage Site in 1986 reflecting both its natural and cultural significance. However there is another much less well-known group of remote islands off the Outer Hebrides, which is the location of an enduring mystery which occurred in December 1900, when all three keepers of the lighthouse on an island there vanished without trace. 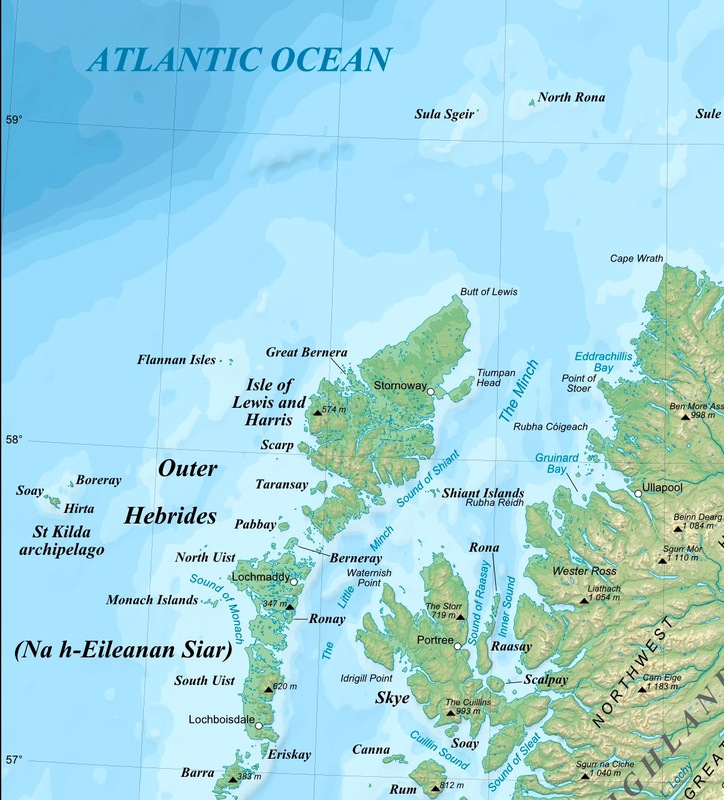 The Flannan Isles (or Na h-Eileanan Flannach in Gaelic) or Seven Hunters lie 20 miles (32 km) west of the Isle of Lewis in the Outer Hebrides. Not as far out to sea as St Kilda, but further north. And since the automation of the Flannan Isles Lighthouse in 1971, no one has lived there, although the islands became a Site of Special Scientific Interest in 1983. The lighthouse, and a ruined chapel dedicated to St Flannan, is on the largest island, Eilean Mòr (Big Isle). The lighthouse was constructed for the Northern Lighthouse Board (NLB) between 1895 and 1899 near the highest point of Eilean Mòr at a cost of £6,914. All the materials in the building of the 75 feet high lighthouse had to be hauled 150 feet up cliffs from supply boats. The lighthouse was first lit on 7 December 1899. There was no wireless communication, the only form of communication being a series of semaphore-style balls on posts which could be seen from the Hebrides on a good day. Other than its relative isolation, it would be little different from most of the lighthouses built off the coasts of Britain were it not for the events which took place just over a year after it was commissioned. 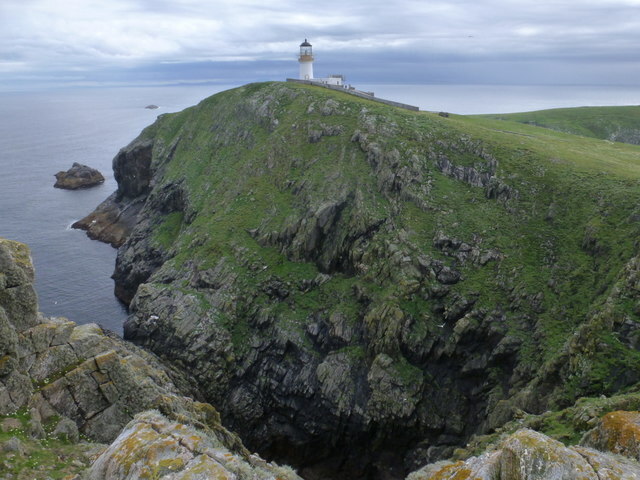 In December 1900, the lighthouse was manned by a three-man team (James Ducat, Principal Keeper; Thomas Marshall, Second Assistant; and Donald Macarthur, Occasional Keeper), with a rotating fourth man (Joseph Moore), on leave on the Isle of Lewis. On 15 December, the steamer Archtor on passage from Philadelphia in the United States to Leith near Edinburgh noticed as it passed the islands that the light was not working, and this was reported three days later on docking at Oban further south. The scheduled relief ship for the lighthouse, the Hesperus, which was based in Stromness in the Orkney Islands, had been due to visit on 20 December but it was delayed because of rough weather and did not reach Eilean Mòr until noon on Boxing Day, 26 December. When they arrived, ominously, none of the lighthouse keepers were there to welcome them ashore, the flag was not flying, and none of the usual provision boxes were ready on the landing stage for re-stocking.